Courtesy Photo Students from Big Bay, Gladstone, Mid-Peninsula and Rapid River met with business professionals in the Gladstone high school gym to ask questions regarding possible career choices. The Delta County College Access Network (DCCAN), along with the Community Foundation for Delta County and the Delta-Schoolcraft Intermediate School District, held one of two Delta County High School Career Fairs for junior and senior students on Oct. 17. The second career fair will be Oct. 24, at the Escanaba high school. 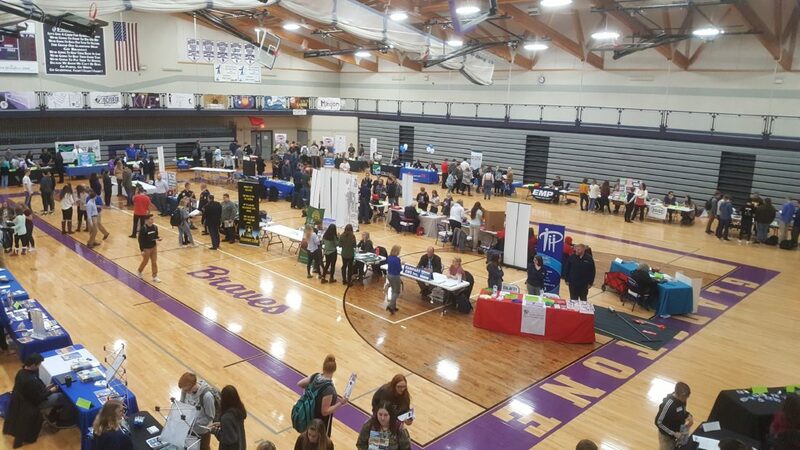 ESCANABA — The Delta County College Access Network (DCCAN), with the Community Foundation for Delta County and the Delta-Schoolcraft Intermediate School District, held one of two Delta County High School Career Fairs for junior and senior students, Oct. 17. Students from Big Bay de Noc, Gladstone, Mid-Peninsula and Rapid River schools met with business professionals in the Gladstone High School gymnasium to ask questions about possible career choices. Students were asked to speak with three different exhibitors, at a minimum, during the career fair. Each business professional marked the badges of the students they visited with, and the students turned in their badges at the end of their time at the career fair for a chance to win a prize. “The overall purpose of the career fair is to provide high school juniors and seniors with information regarding careers,” said Kathy Becker, director of DCCAN. Students learned networking while meeting with the local business professionals. The student also had the opportunity to get answers about careers, the job market, and the training and education needed for specific careers to help them discern whether they would like to follow the path to get into that profession. “Students with no direction at home will be able to seek guidance and information from local professionals. 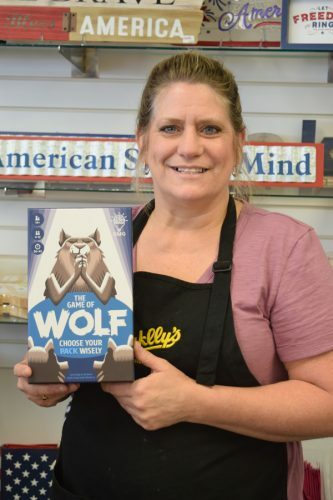 Just as important, local businesses can reach out and potentially recruit young people to stay or come back to Delta county and be viable members of our work force,” said ­Becker. DCCAN is a local branch of the Michigan College Access Network (MCAN). Its mission is to increase college readiness, participation and completion in Michigan and to raise the percentage of students who attend college by the year 2025. Becker and her group provide ­programs to students that will help students get into the workforce by being career or college ready. Programs that are included in this preparation include Fifth Grade Friday, and Eighth Grade Career Exploration. Both programs are sponsored by DCCAN and others. DCCAN coordinates busing for students to visit colleges, mock interviews with professionals, and job shadowing with specific companies. Becker found career exploration opportunities needed more attention, and so she, with the help of others, decided to create a career fair environment. Becker invited schools from Delta county and plans to expand the area next year. More than 40 businesses with over 100 professionals attended the career fair in Gladstone. Each school had approximately an hour to network and receive information. 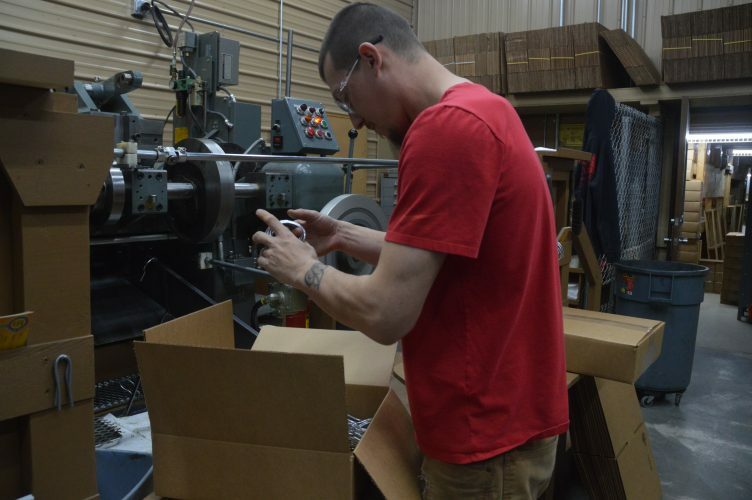 “I had another company contact me today, asking if they could be part of the career fair we’re doing in Escanaba next week,” said Becker. The next career fair is at the Escanaba high school, Wednesday, Oct. 24, from 8:30 a.m. to 1 p.m. Students attending will be from Bark River-Harris, Hannahville and Escanaba schools.